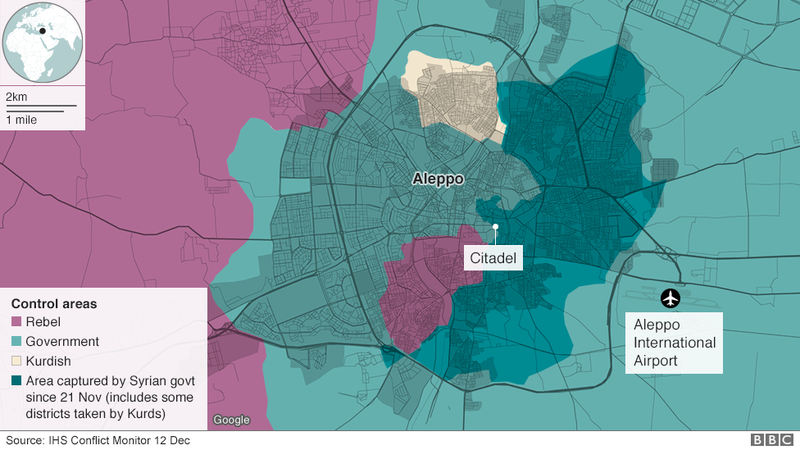 Throughout the battle of Aleppo, government forces repeatedly urged civilians to leave the area, organizing humanitarian corridors to arrange the safe passage of those who wanted to escape furious street battles. However, terrorist groups fighting in Aleppo forcibly prevented civilians from leaving the area whilst using them as human shields. "Civilians are being used as pawns and prevented from leaving," UN spokesman Rupert Colville said recently.